Save The Strays Foundation is a non-profit organization created to rescue stray animals and educate the public on animal welfare issues. The founders are animal advocates with a variety of experience in business, law, and marketing. Most important is the love and respect for animals they share. 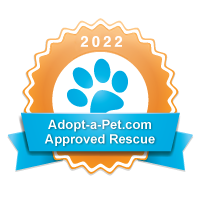 We are completely volunteer-based and all donations and adoption fees go to the care of the rescues and operating expenses. Our rescued animals are in foster homes, as we do not have a shelter. We rely on loving homes in order to save more animals so please contact us if you can foster. Please e-mail us if you would like to meet one of our adoptable animals. Our Inspiration: Pancho was rescued near the railroad tracks in Hialeah by the Underdog Foundation. He was in terrible shape with a severe skin infection and autoimmune disease that swelled his paws making it extremely painful to walk. Pancho had already lost one eye to infection and it wasn’t certain if his other eye could be saved. Isaac volunteered to foster Pancho and asked a new neighbor, Caroline, to help him since Pancho needed so much care. They each already had an adopted dog and began to spend a lot of time together as one big pack. Isaac knew that Pancho was meant to be with him and adopted him. Pancho wasn’t the only one that joined the family though. Isaac and Caroline are now married and started Save the Strays Foundation in their desire to help more abandoned animals. As for Pancho, his medical issues are taken care of and his eye was saved. He now spends his days snoring loudly in his sleep. Isaac's special bond with animals developed as a child, growing up on his grandfather's farm in the small town of Santa Paula, California. He would save and raise pigs and calves who lost their mother during birth. These animals were kept in the "animal hospital" located in his family's garage and joined the stray cats and dogs he rescued. Frustrated with the overwhelming number of animals being euthanized and abused, Isaac was determined to make a difference as an adult. Professionally, Isaac is a successful real estate investor and personal trainer. Using his business expertise and motivated by his compassion for animals, he started Save the Strays Foundation to expand his passion for rescuing abandoned and abused animals. Caroline Gallina Saiz, Vice President & her rescued dog Viva (found abandoned with an injury requiring amputation). Caroline’s compassion for domestic animals expanded to farm animals when at 14 she adopted a plant-based diet. She further explored the welfare of all animals as a legal intern at The Fund for Animals (now a division of the Humane Society of the United States) and as founder and president of the Student Animal Legal Defense Fund (SALDF) at the University of Miami School of Law. She served on the Animal Law Committee of the Florida Bar. Caroline is an advocate for increased legal protection of animals and, as the Vice-President of Save the Strays Foundation, she strives to find homes for abandoned animals as well as providing public outreach on animal welfare issues. Yonah has loved to saved creatures for all of her life, from large to small, furry to scaly, walking to slithering, and animal to insect. Yonah became involved with Save the Strays Foundation when she and her then-fiancé Scott adopted a shy dog that was heartworm positive. Kanie fully recovered and flourished with their love. Within a year the now married couple added to their family and adopted another dog, Tarpon, from Save the Strays Foundation. Now, as the Media and Public Relations Director for Save the Strays Foundation, Yonah utilizes her public relations and social media skills to spread the word about the Foundation and help find good homes for strays. An attorney that has dedicated her career to the public good, Cristina's passion for justice extends to all animals as well. In addition to not supporting wildlife captivity, she encourages companion animal adoption as our Event Manager. If you can't adopt, foster. If you can't foster, donate. If you can't donate, network.